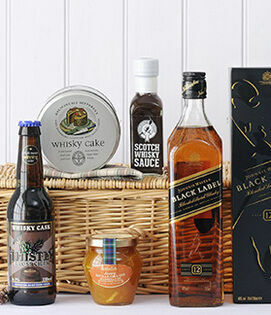 Send the perfect birthday gift with our range of fantastic hampers, suitable for celebrating any milestone. 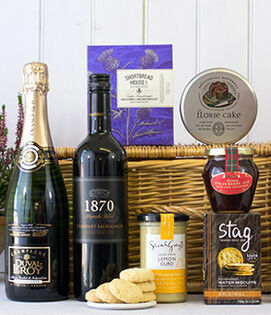 Celebrate your anniversary in style with one of our impressive Scottish hampers. They make the perfect gift for your other half on the special day. 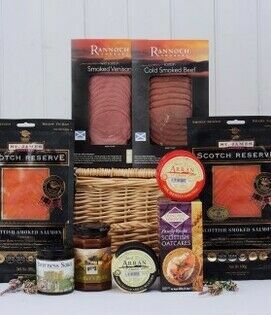 Scotland has a vast and illustrious history when it comes to smoked salmon, one we've managed to capture in these great tasting hampers. 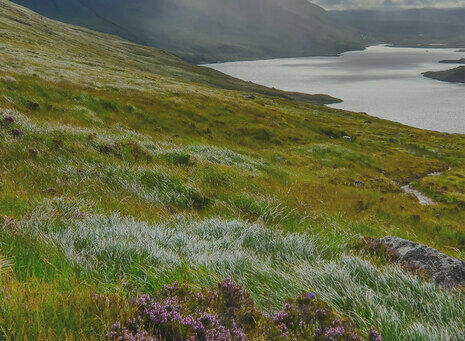 The pride and joy of Scotland, the great taste of these Scotch whiskies is bolstered even further with flavoured chocolates, preserves and treats. Help family and friends see in their birthday with a gift from our delicious range of hampers, perfect for celebrating any milestone. 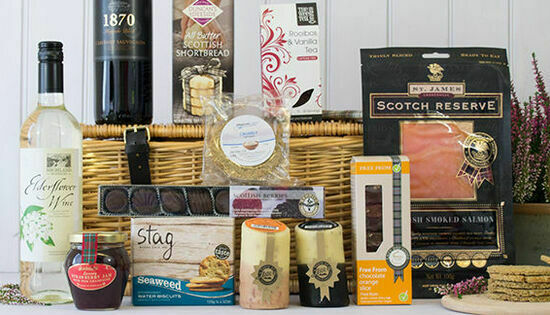 A present any food lover will appreciate, treat someone to a hamper of their choice, with a gift voucher from Fine Scottish Hampers. 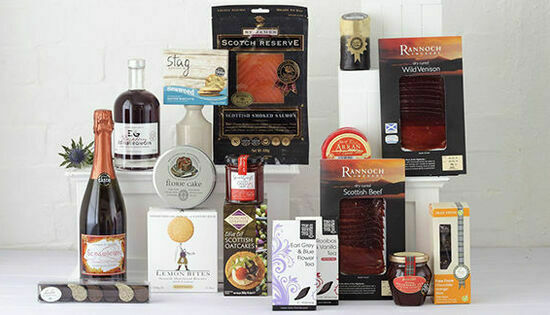 Fine Scottish Hampers is the home of the very best Scottish food and drink, with award-winning produce and traditional favourites. 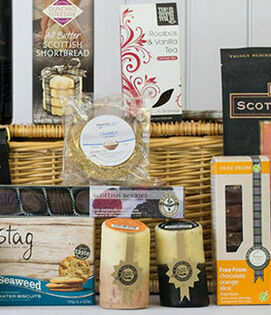 We stock a fantastic range from local artisan suppliers that can be put together to make your own Scottish hamper, or you can choose from our selection of ready made hampers that will make the perfect gift. Including hampers specially created for any occasion, we pride ourselves in being able to offer carefully selected combinations that will make any occasion memorable. 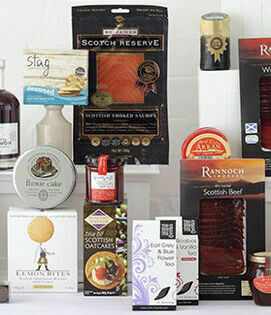 From award winning salmon and meat to Scotch whisky and shortbread, we only choose the very best produce to include in our hampers. The flavour and quality of the produce we supply is of the upmost importance to us, and we don't supply anything that we haven't tried, tested, and tasted ourselves.